We have made it to the end of our first half-term, and what a long and busy one it has been! 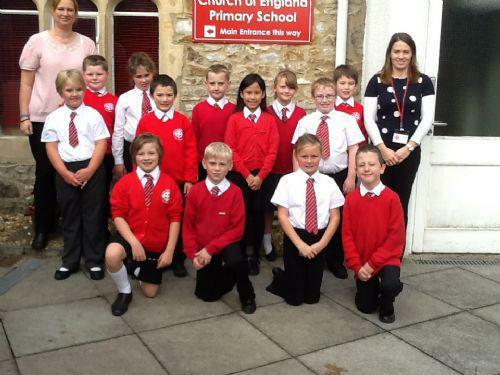 The children have all settled well into the expectations and routines of year 4 and it has been lovely to meet so many parents during celebrations and at the recent parent'e evening. We will be continuing to learn about The Ancient Greeks for a couple of weeks after half-term and we are planning to hold our Greek Agora day then. Watch this space! Last week was our final swimming session, so the children had a more relaxed, fun lesson. It has been a pleasure to watch the children swimming on a Friday. They have all made so much progress just in the short time that they have been swimming. It is also really nice to hear the instructors saying how much they enjoy teaching Pulman class. There may well be some certficates to come soon! The children will continue to have PE on a Monday and ukulele with Miss Roberts on a Friday after half-term. We have a busy and exciting term in store next term, so make sure you all have an enjoyable and relaxing half-term! Spellings - The children have chosen their own spellings to practice this week. 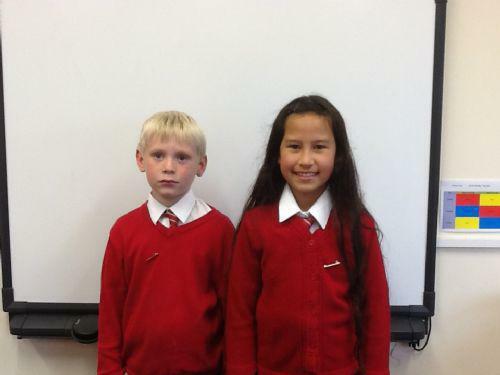 Congratulations also to India and Jake who won awards this week. 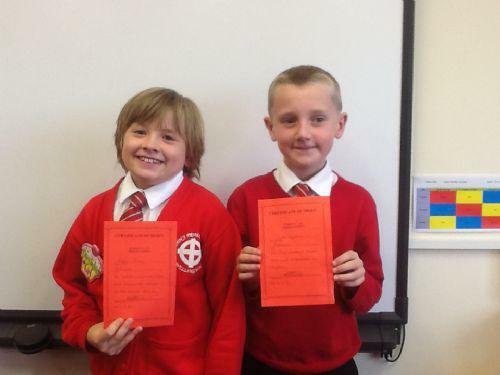 Well done to both of you. Also, congratulations to Connor for being awarded this week's special award. 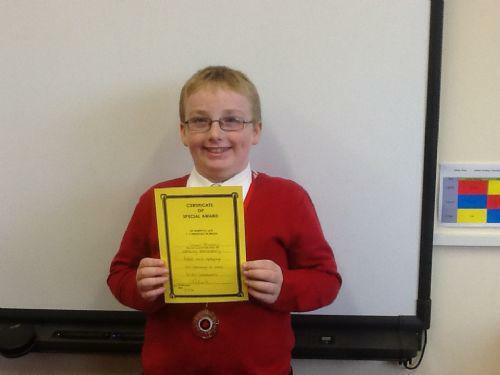 He received it for his continuous hard work and applying his learning in school to his homework, well done Connor!